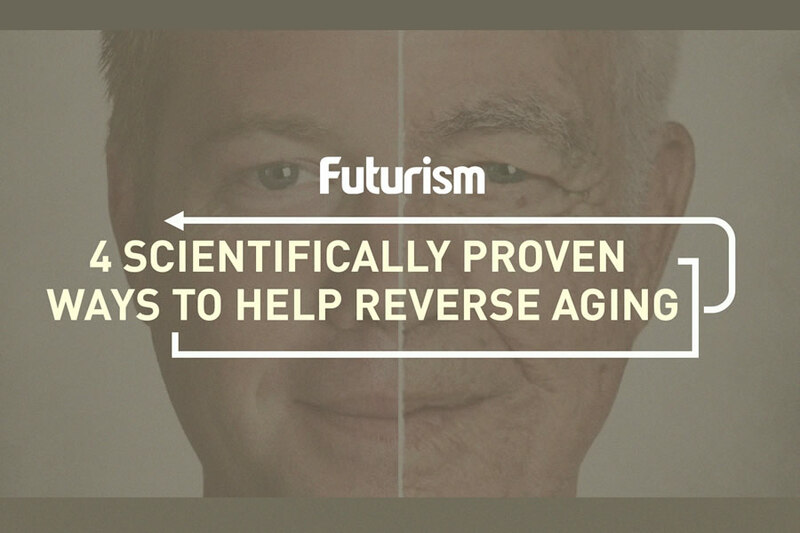 Researchers got dormant hair follicles to start growing hair again. Researchers have already explored ways to use stem cells to treat everything from diabetes to aging, and now, a team from UCLA thinks they could potentially offer some relief for people suffering from baldness. 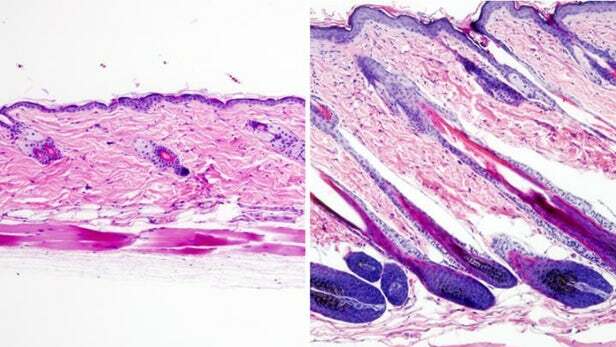 During their study, which has been published in Nature, the researchers noticed that stem cells found in hair follicles undergo a different metabolic process than normal skin cells. After turning glucose into a molecule known as pyruvate, these hair follicle cells then do one of two things: send the pyruvate to the cell’s mitochondria to be used as energy or convert it into another metabolite known as lactate. Based on these findings, the researchers decided to see if inactive hair follicles behaved differently depending on the path of the pyruvate. To that end, the UCLA team compared mice that had been genetically engineered so that they wouldn’t produce lactate with mice that had been engineered to produce more lactate than normal. Obstructing lactate production stopped the stem cells in the follicles from being activated, while more hair growth was observed on the animals who were producing more of the metabolite. Based on their study, the researchers were able to discover two different drugs that could potentially help humans jumpstart the stem cells in their hair follicles to increase lactate production. The first is called RCGD423, and it works by establishing a JAK/STAT signalling pathway between the exterior of a cell and its nucleus. This puts the stems cells in an active state and contributes to lactate production, encouraging hair growth. The other drug, UK5099, takes the opposite approach. It stops pyruvate from being converted into energy by the cells’ mitochondria, which leaves the molecules with no choice but to take the alternate path of creating lactate, which, in turn, promotes hair growth. Both of the drugs have yet to be tested on humans, but hopes are high that if tests are successful, they could provide relief for the estimated 56 million people in the U.S. alone suffering from a range of conditions that affect normal hair growth and retention, including alopecia, hormone imbalances, stress-related hair loss, and even old age. However, as undoubtedly pleased as many of those people would be to stimulate their hair growth, the potential relevance of this research stretches far beyond hair loss. The new knowledge gained regarding stem cells, specifically their relation to the metabolism of the human body, provides a very promising basis for future study in other realms.